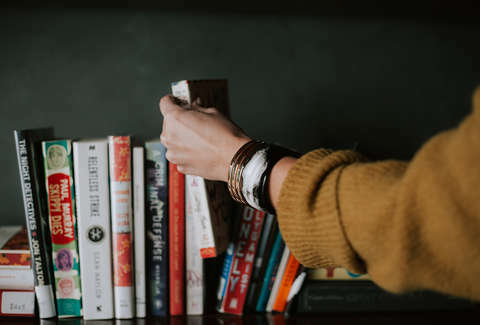 How many weekends have you said “I’m gonna stay in and catch up on everything I want to read,” only to never muster the ambition to start that 900-page novel? On the flip side, have you ever gotten so caught up in a book that you ignored your weekend errands? Here’s the trick: Pick something you can read in 30-minute increments. These short story and essay collections let you expand your mind in those little Saturday and Sunday breaks. Here’s our list of the best books with which to spend 30 minutes this weekend. 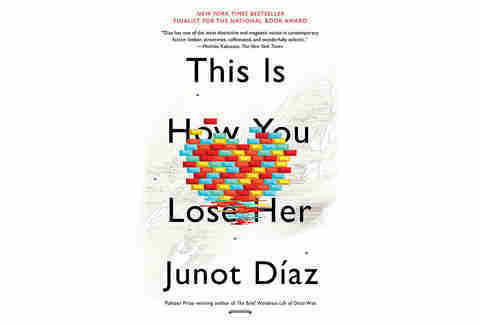 Junot Díaz succeeds in creating a character that you will both love and hate in This Is How You Lose Her. Díaz’s Yunior serves as his alter ego (and also appears in Díaz’s The Brief Wondrous Life of Oscar Wao) and allows him to muse on love, dating, masculinity, and cultural identity within short stories that give you snapshots of his life. While the narrative may seem disjointed at first, Díaz’s voice is so cohesive it’s easy to follow. Each section can be appreciated on its own (and most of the stories were published individually), but combined they sketch a better portrait of Díaz’s psyche. By the final, sprawling story, you’ll feel permanently linked to Yunior and, by extension, Díaz. You may know Leslie Jamison from her essay collection, The Empathy Exams, a thoughtful examination of what makes empathy so important in our lives. Jamison’s interest in humanity comes through in this essay anthology, in which she curates a selection that attempts to make the personal political and vice versa. “No life is a thesis statement” is her way of introducing essays that take you from a Palestinian refugee camp to West Virginian mining towns, with each one giving you a glimpse of humanity. There’s no need to worry about getting lost in this book, however -- most of the essays are so gut-wrenching you’ll need some time to process between reads. 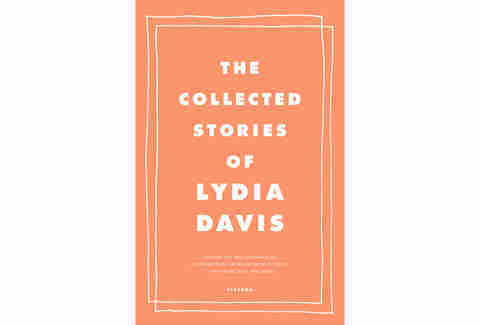 While you can spend 30 minutes getting lost in Collected Stories, you could just as easily spend one or two minutes since many of Lydia Davis’ stories are just a few sentences long. But at 700 pages, this is a serious collection, making it both easily accessible and endlessly entertaining. The whole book might be worth it for “Break It Down” alone, a heartbreaking short story about the cost of love in which Davis shows you exactly what she is capable of. Whether you read just a few stories or, more likely, get lost in one after another, you’ll find something to love in this collection. You don’t have to be a fan of The Office to appreciate Mindy Kaling, but who on Earth isn’t? Kaling’s book is packed cover to cover with hilarious essays and memoirs about dating, peaking in high school, and being a total misfit. Along the way she gives indispensable advice for life, like her "Best Friend Rights and Responsibilities" section (“I will try to like your boyfriend five times.”) Her writing will legitimately make you laugh out loud (and not in the fake “lol” text way), so we can’t promise you won’t want to keep reading after 30 minutes, but that’s on you. If Catcher in the Rye turned you off to Salinger in high school, 9 Stories is the perfect way to reintroduce yourself to his writing and see why he’s one of the most celebrated American authors. The collection includes two of his most famous short stories, A Perfect Day For Bananafish and For Esmé -- With Love and Squalor, both of which deal with the psychological aftermath of WWII. As with Catcher, Salinger’s writing style approaches mental health issues frankly, but this time with less teenage angst for you to roll your eyes at. His sparse style makes each story digestible, perfect for those short weekend stretches. If you’re looking for an introduction to the famously intimidating author, Supposedly Fun Thing is the place to start. These essays, all short enough for a quick weekend reading break, cover a few of Wallace’s favorite topics with exacting precision: television, tennis, and why we’re all so bummed out all of the time. The titular essay is one of Wallace’s most celebrated pieces of short writing for a reason: With endless humility and laughter at his own expense, he breaks down exactly why vacation is so stressful, and what it means for us when we return home. It may be a quick read, but it’ll lodge itself in your brain. With any luck, you’ll start to understand the cult-like fanbase that has grown around Wallace’s writing. If you’ve ever entertained fantasies of going on a safari hunt in Africa in the ‘30s, or perhaps you just watched Taylor Swift’s “Wildest Dreams” music video, The Snows of Kilimanjaro is the right short story collection for you. 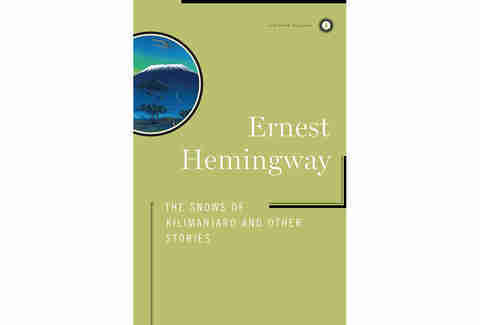 In typical Hemingway style, his minimalist writing disguises the complexity of his settings, giving short glimpses into the psyche of the cast of washed-up characters. The stories range in length but carry the same punch no matter how long or short they are. The shortest, A Day’s Wait, gives a moving sketch of a young boy’s brush with death, packing more emotion into three pages than most novels. In the past few years, Judd Apatow has taken a turn from a comedy writer and director to becoming comedy’s historian, celebrating his heroes such as Garry Shandling in documentary form. Sick In The Head is his attempt at categorizing what makes comedians so unique to begin with, and what drives them to create. In doing so, he gets back to his roots as a comedy nerd, having started his career interviewing stand-ups in high school. The format allows you to skip around and find something to dig into no matter where you look, and Apatow’s interview skills preserve the intimacy of each conversation. Popular radio show The Moth comes in book form in All These Wonders, stories that were selected to highlight “facing the unknown.” Like many of The Moth’s best spoken-word stories, each selection is poignant, hilarious, and moving, with topics spanning all walks of life. Luckily, the energy of The Moth’s well-known live storytelling is preserved by the format, thanks in part to talented writers and comedians such as Tig Notaro and Hasan Minhaj. What does Mark Greif want? He wants you to be against everything -- hence the title of the book. The essays inside take down things like exercise and food snobbery, but at the same time, Greif spends four essays directly answering the meaning of life, and addressing why he finds so many things objectionable. As he says in his introduction, “This is not a book of critiques of things I don’t do. It’s a critique of things I do.” That self-awareness carries throughout the book and ensures that each essay feels fresh and hilarious, despite being so anti-, well, everything.